Celebrate Idul Fitri is different from other festivals. All new habit is always attached to people especially those INDONESIA Java. Be it clothing, furniture, and home decor to any new home. Seems to have become a tradition for customs in the eastern culture. Continue?? What do Venetian mirrors with Idul Fitri Holiday? This item is not an object that can be used anywhere where such clothes and the car, because the venetian mirror is a work of art in the shape of the glass so that it becomes an attractive form of decoration, good for just a glass wall display or as a dressing room attached you sleep to help improve the appearance or pose. On the day of IDUL FITRI DAY when many relatives, friends, relatives, neighbors will be coming home for a visit and shake hands. Therefore, it gives the best performance in you until the house becomes important. Gives a different impression to the other house will certainly leave an impression on the visiting hit. Why should you choose Venetian mirror? In general, each house must be furniture, like a table, chair, and cupboard, dining table to frame the painting on the wall, glass frames and other bathroom. Try to feel the difference if all of the change and not use wood, but use furniture mirror? Such as wall hangings with Venetian wall mirror, table mirror, bathroom mirror, dressing mirror, mirror cabinet and mirror everything. With mirrors because they will provide a striking impression on the eye of the beholder of course it would be a concern. Space in the house will look wider. Mirror this model is already there since last hundreds, and usually mirror is made in house decoration by the king or mirror glass for the king’s daughter. No wonder that after seeing this mirror will think about the price. VENETIAN MIRROR IS MUCH EXPENSIVE but it was hundreds of years ago and NOT APPLY TO NOW. Because in earlier times no one has made. to have to be brought in from out of town Venetia ITALY state, because that is the biggest manufacture in the city. 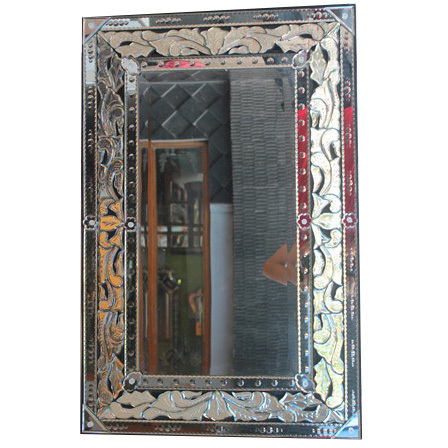 Hence the name of this mirror is called Venetian mirrors or Vintage Mirrors. The beauty of the carving on each piece to form a string of beautiful flowers and fused into a mirror motif intact form round, oval or rectangular. That’s the beauty of this mirror. The art of style will give elegance. Honor and glory you will always be awake to the beauty of these Venetian mirrors. IDUL FITRI HOLIDAY can give a different impression to others that your home will always remember those who visit.